We, the church of St. John strive to honor and serve God in all we do. We gather as a faithful community, actively worshipping God through word and sacrament, and strive to seek and serve Christ, by whose saving grace we are nourished and empowered. We hold weekly worship services Sunday mornings at 9:30 AM including Sunday School. Worship is followed by a fellowship hour at 10:30 AM. Holy Communion is Celebrated on the First Sunday of Every Month. Pastor Kevin Duffy-Guy has been at our church for several years now and has helped us to define and find a focus for our mission in our church, make a commitment to christian outreach both in our community and globally, and create new ministries to empower our members, make us more active christians, and help our church grow in spirit. The Consistory is composed of the Pastor, Elders and Deacons. It is the governing body of our church, elected by church members at our annual congregational meeting. It has the responsibility to care for and control of the property of the congregation and controls all church activities and organizations. Consistory meetings are held on a monthly basis on the Monday evening following a Communion service. Meetings are held at 7 PM. 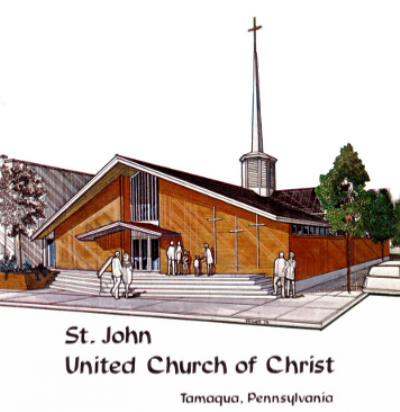 The roots of St. John United Church of Christ go back almost 200 years to the oldest congregation in the town of Tamaqua. Our current church building was built in 1973.  You can read a brief history of St. John UCC by clicking Here. What's going on at St. John United Church of Christ? You can click below to download a copy of our latest newsletter. We feel it is important for our church to be a vital part of our local community. We are proud to host our local Boy Scout Troop #777 from Tamaqua. We are also the home of CARES Developmental Adult Day program and Holland Counseling Associates. We donate to the local food bank at Trinity UCC, and give to many other organizations who are striving to do God's work in our community.